Process Safety Lessons from House, M.D. FOX’s “House, M.D.” follows the weekly adventures of the curmudgeonly Dr. House, a brilliant doctor who often rubs his colleagues and patients the wrong way. In a recently aired episode, Dr. House treats a legendary blues musician who has been given only weeks to live. The musician wants to pull the plug because he has a (supposedly) fatal disease that would keep him from ever playing music again. Dr. House intervenes (illegally) but ends up saving the musician’s life and restores his ability to play music. In the process, the musician and House have a discussion about what makes life worth living. It comes out that what makes both House and the musician great is their deep love for a particular craft. Their respective arts are what made them who they are – they both can’t live without doing what they love to do. While this is a nice story - what does it have to do with process safety? There are two lessons to be learned from Dr. House – the first is that most of us are not legendary doctors or blues musicians. That is to say – most of us are quite normal. For most of us, we get up and go to work – we give our best, and then we come home. But there are some people who simply live and breathe the work that they do. These are the true ‘experts’ in a given field. When things get hairy – we rely on these experts to come in and solve the problem. The “House, M.D.” episode illustrates the importance of these type of people, because it is people like this who are literally obsessed with their field that have the nuanced level of understanding necessary to know when someone is actually fatally sick or when there is still hope. The second lesson is that sometimes a diagnosis can be wrong. The same is true in engineering. We often encounter chemical systems that have been tested and are quote-on-quote ‘safe’, when in reality, there are other serious issues present. For example - testing may be conducted on a sample per a standard method – but that method may not accurately represent process conditions. Conversely, we’ve reviewed work where a relief vent has been put in that is ridiculously oversized – leading to unnecessary costs for the consumer. The difference in both cases is having the right person to do the work. Fauske & Associates, LLC will likely never become a syndicated TV show – our cast of ‘characters’ is far too normal to make for good TV. However, we are a firm of highly gifted, dedicated individuals who live and breathe process safety testing and engineering. 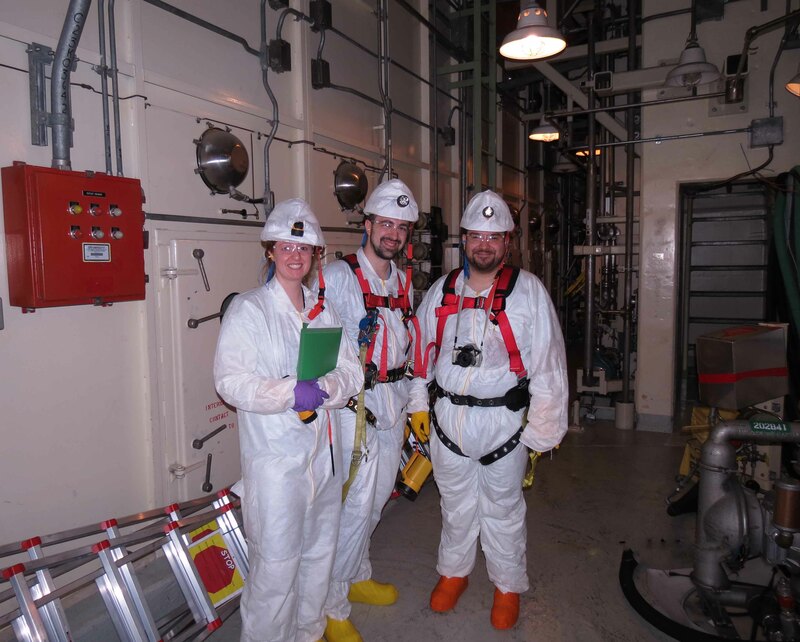 We truly are experts in the fields of nuclear and chemical process safety. The next time you have an engineering issue – do you want to have just any firm doing your work, or do you want the guys that are obsessed with understanding and characterizing severe accidents?